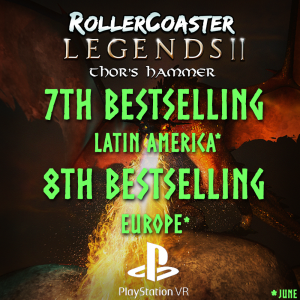 RollerCoaster Legends II: Thor’s Hammer was part of the top-selling charts released by PlayStation for June. It was #7 in Latin American and #8 in Europe. We are thrilled with the great reception the game has had. Thank you to everyone who has bought and supported the game. Read the full article for Latin America here and for Europe here.